Saturday morning, breakfast was delivered to our campsite by the camp staff. It was a variety of danishes and grape juice. Once everyone had their gear packed and placed near the trailer, they policed the campsite for trash, swept out their tents, and cleaned the latrine. Andrew coordinated the loading of the trailer of gear and Mr. Stanford coordinated getting the trailer out of the campsite. After the work was complete, we enjoyed our breakfast, gathered our gear for the car ride, and hiked out to the main parking lot. 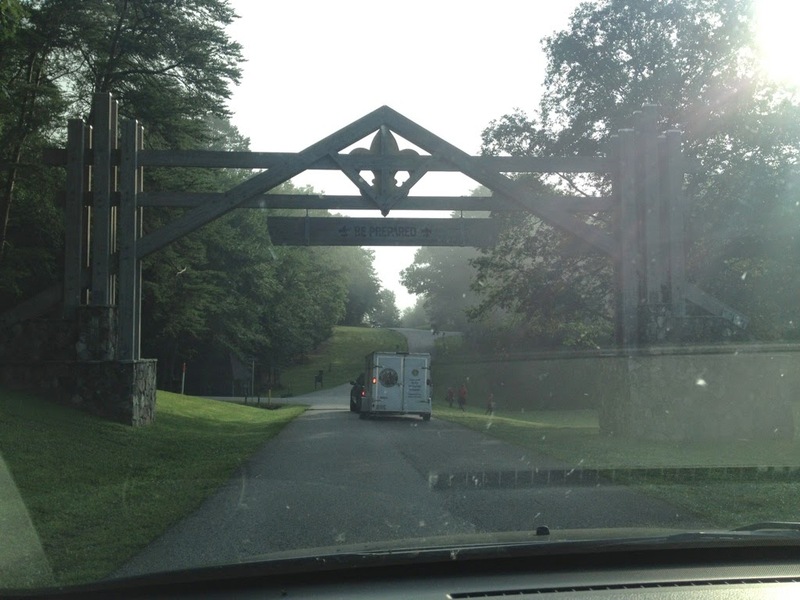 Troop 50 leaving Woodruff behind! We met up with Mr. Jim Perry, who was gracious enough to take home a group of Scouts, and then we were on our way! We were able to leave camp before 8:30 a.m. to make the trek home to Auburn. 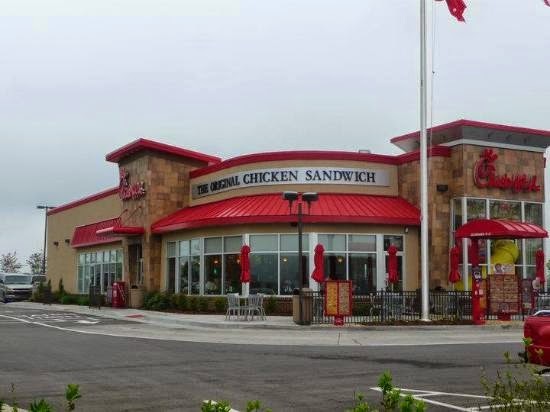 We treated ourselves to a more substantial breakfast at Chick-fil-A in Ellijay, Ga., where we got to experience fast food for the first time in more than a week. Everyone was pleased with the restaurant choice. Then, we continued on toward home. First fast food in more than a week! After just a few stops for gas and bathroom breaks, we arrived in Auburn around 12:15 p.m. to a large group of families welcoming us back to the Loveliest Village! I'm sure the boys were excited to see that welcome and it was a grand homecoming. We unloaded the gear and everyone said their goodbyes before heading on home. It would be nice to hear the stories that were shared from the different perspectives of the trip. It was a successful trip to Woodruff and it won't be long before our next outing, "Chill at the Lake" on Saturday, Aug. 9. We will provide more details about the daytime outing as that weekend draws near. We all want to thank our families for supporting this important trip to summer camp. We hope everyone feels the sacrifices and week they loaned their Scouts to us were worth it. Check out our Day Seven online photo album and relive our Camp Woodruff adventures by reading all the blog entries relating to camp.